Although the EMC2 concept, with an environment like SDSoC, is not entirely new, it is extremely cost effective. Sundance previously co-developed a similar board called HARP-2 in the early 1990’s that combined a 32-bit Inmos CPU with a Xilinx XC3195 FPGA. It was supported by Handle-C, initially developed by Oxford University and commercialized by Celoxica. The biggest problems with this solution, and hence its limited adoption, were its $100,000 per seat price tag and the requirement for detailed FPGA/VHDL knowledge. In comparison, Xilinx’s SDSoC can be easily used by any experienced C programmer and the EMC2-Z7030, with its dual-core ARM-A9 and Kintex-7 FPGA bundled with a commercial license for the Xilinx SDSoC environment, is priced at only $1,695, giving it the potential to make a significant impact in embedded systems design. 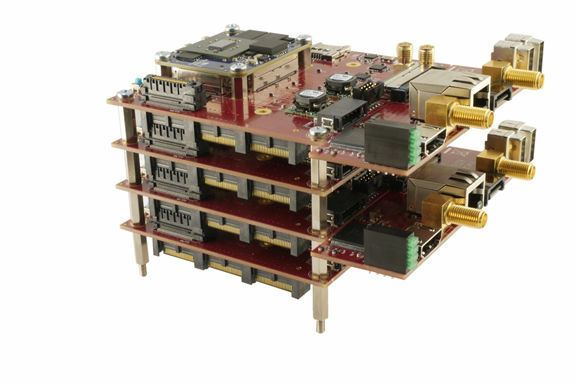 The EMC2-Z7030 benefits significantly from the PC/104 stackable concept that allows multiple EMC2 boards to be integrated into a multi-processing ARM/FPGA system, using PCI Express for inter-connection between each SBC. The concept is being developed by Sundance as part of $100 million industry-wide EU R&D project into Embedded Multi-Core Systems for Mixed Criticality. 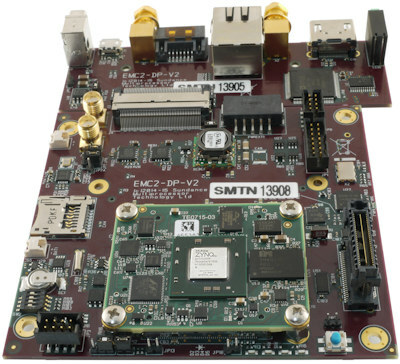 The EMC2-Z7030 with a dual-core ARM-A9 and Kintex-7 FPGA, and bundled with a commercial license for the Xilinx SDSoC development environment is priced at $1,695. The 100+ price, without the SDSoC, is below $900. The EMC2– Z7030 and its variations are typically available on a lead-time of one to three weeks. About Sundance Multiprocessor Technology Ltd.